U.S. lawmakers advocated burning the U.S. Olympic team’s Chinese-made uniforms. Minxin Pei separates political grandstanding from hard reality. These days it is rare to see Congressional Republicans and Democrats unified on anything, much less speak with one voice. But when they do, the result is not necessarily good. This seems to be the case when Senate Majority Leader Harry Reid, Congresswoman Nancy Pelosi (both Democrats), House Speaker John Boehner (Republican) and several other Senators and Congressmen loudly condemned the U.S. Olympic Committee’s decision to use China-made clothing designed by Ralph Lauren, a sponsor of the U.S. Olympic Committee, for the London Olympics. 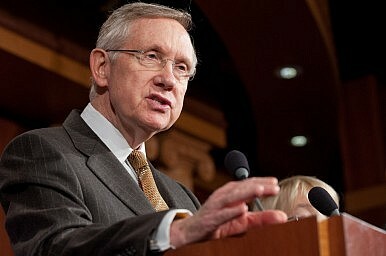 Senator Harry Reid even called on the U.S. Olympic Committee to burn China-made uniforms. These American politicians may think bashing China during hard times in the U.S. before an election is good political strategy. By showing America’s unemployed workers that they feel their pain, they could get their votes in November. In reality, however, the same politicians must know that blaming China for America’s economic woes will not alleviate the suffering of ordinary Americans. To be sure, Congress has a constitutional right to weigh in on American foreign policy and its past intervention in matters related to Washington’s China policy, when conducted in close cooperation with the White House, occasionally produced positive effects on U.S.-China relations. But seizing China-made uniforms for Team USA as a political issue and using irresponsible, if not hysterical, rhetoric to inflame public opinion not only justifies the contempt of Congress held by people in the U.S. and around the world, but also undermines America’s long-term China strategy. Such gratuitous China-bashing is, needless to say, hypocritical. The loss of blue-collar workers in general, and workers in the textile industry in particular, is caused primarily by technological progress and market forces, and not by China. Even if Team USA’s uniforms were not made in China, they would be made in Vietnam, Indonesia, or India, but not in North Carolina. Another glaring instance of hypocrisy in such inflammatory rhetoric is that these politicians may not have thought about the consequences should they fully enforce their demand of not buying China-made goods. Should they lead by example, rather than pick on the U.S. Olympic Committee? Were they to do so, they might have to come to work practically naked. They would have to incinerate their cherished iPhones, iPads, and Macbook Airs (all made in China) as well. They would have to invite the press to inspect their homes to ensure that nothing there is made in China. What about their families? Should their children and grandchildren be denied the pleasures of China-made gadgets and toys? It is doubtful whether they are ever prepared to be truly faithful to their beliefs. In terms of the harm done by such political insanity on Washington’s long-term strategy toward China, political hypocrisy is the least of our worries. The sad spectacle of Congressional leaders piling on each other to rail against the use of China-made Olympic uniforms simply reinforces the suspicion held by the Chinese public that the American political establishment harbors deep hostility toward China and does not wish to see it strong and prosperous. Obviously, such behavior is a god-send for the ruling Chinese Communist Party, which has been quite effective in convincing average Chinese citizens that the United States has a containment strategy against China. To the extent that America’s long-term China strategy critically depends on a fundamental change of China’s domestic political system, an essential component of this strategy should consist of steps taken to win the hearts and minds of the Chinese population. For a country that spent hundreds of billions of dollars and lost several thousand young men and women scrambling to win hearts and minds of more than 50 million Iraqis and Afghans, it is strategic madness to alienate 1.3 billion people with irresponsible and insensitive remarks that will be remembered for a long time. For once, Washington politicians may have truly “hurt the feelings of the Chinese people,” a much-derided phrase frequently used by spokesmen of the Chinese Foreign Ministry. Cheap and irresponsible China-bashing is counterproductive to the long-term American strategy because it is sure to inflame Chinese nationalism, a powerful emotional force that could be deftly exploited by the ruling Communist Party to maintain its power. Most ordinary Chinese people are not sophisticated enough to distinguish Congressional rhetoric from substantive American policy, nor can they easily separate political hypocrisy from genuine commitment. When the Chinese media plays up such anti-China rhetoric coming from some of America’s most powerful politicians, one can bet that it will elicit instinctive and strong anti-American feelings from ordinary Chinese. Of course, no sensible policy-makers in Washington want to turn the Chinese people into enemies of the United States. If anything, they prefer to see them mobilize and pressure their government for more democracy, free markets, and human rights. Given the short supply of common sense in Congress, we can only expect such self-destructive behavior to continue. Goodwill toward the United States among the Chinese people will decline. Rising anti-Americanism will become a political asset of the Chinese Communist Party in persuading mainstream Chinese that the best political system to defend China’s national honor is the current regime, not a democracy championed by or allied with the United States. It is doubtful whether Congressional leaders are aware of the calamitous strategic consequences of their habitually senseless behavior. It is even more doubtful whether they are capable of learning anything from their own mistakes – since they spend the bulk of their waking hours chasing campaign money to keep their own jobs secure.